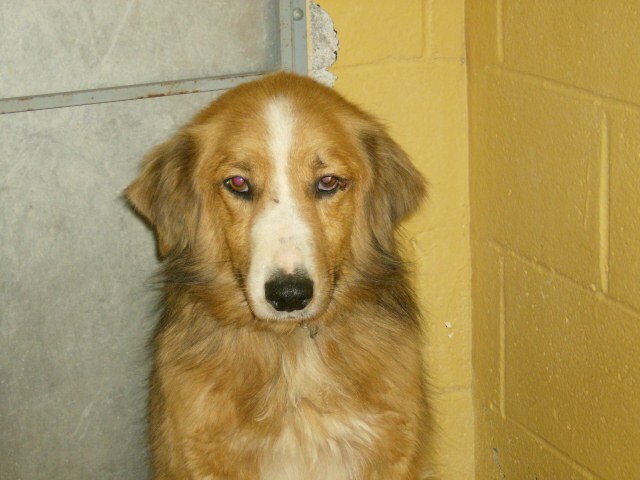 Saving Spalding Pets: AO6-3085 AUSTRALIAN SHEPHERD/COLLIE MIX-GABBIE-RESCUED! This is one of the prettiest dogs I have seen. 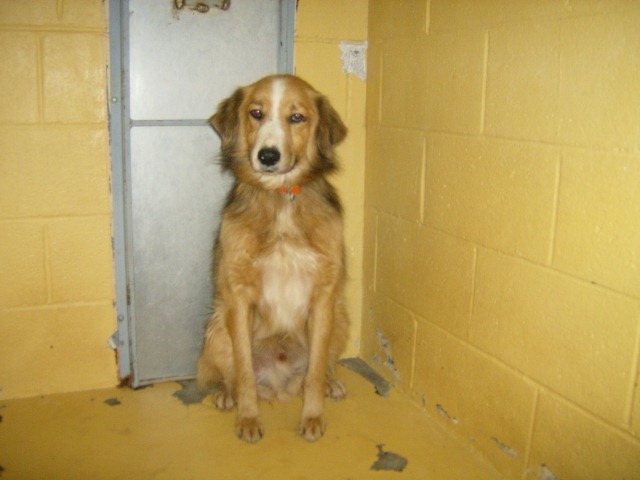 She was abandoned, along with the Anatolian Shepherd mix below, at a house when their owner's moved. She has a natural bobtail. Her left eye seems to have suffered a recent injury and needs medical attention. She is colored just like Lassie..sable and white..and has the same gentle, quiet spirit. She is available NOW and her LAST DAY ALIVE IS OCTOBER 27. We rescued "her" and brought her to Maine. Turns out this was a boy. He was adopted in a flash! AO6-3106 DSH BLACK/WHITE-PREGNANT! RESCUE ONLY!